Course Website: Official Website - Visit Sunningdale Golf Club (Old)'s official website by clicking on the link provided. Accolades: Ranked 1st in England by Golf Course Gurus. 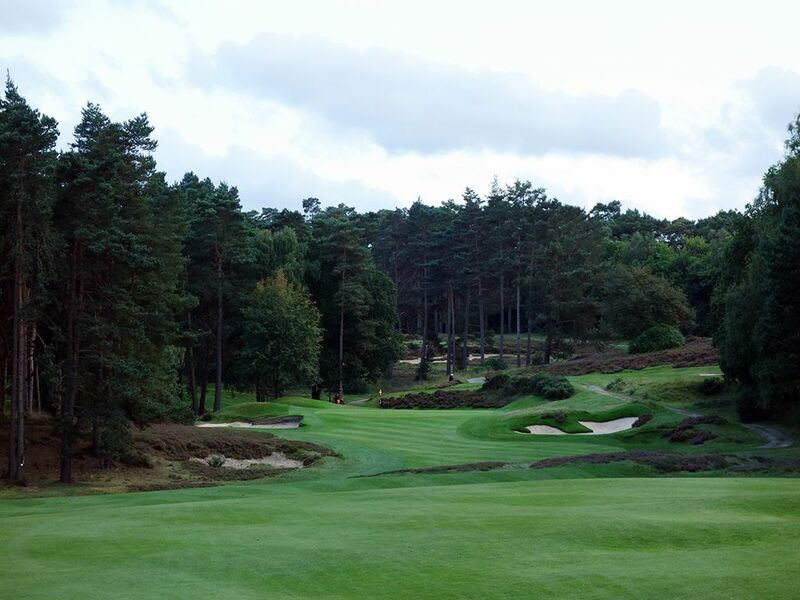 What to Expect: Sunningdale is one of the finest 36 hole facilities in the world and truly one of the most special clubs you can ever step foot on. 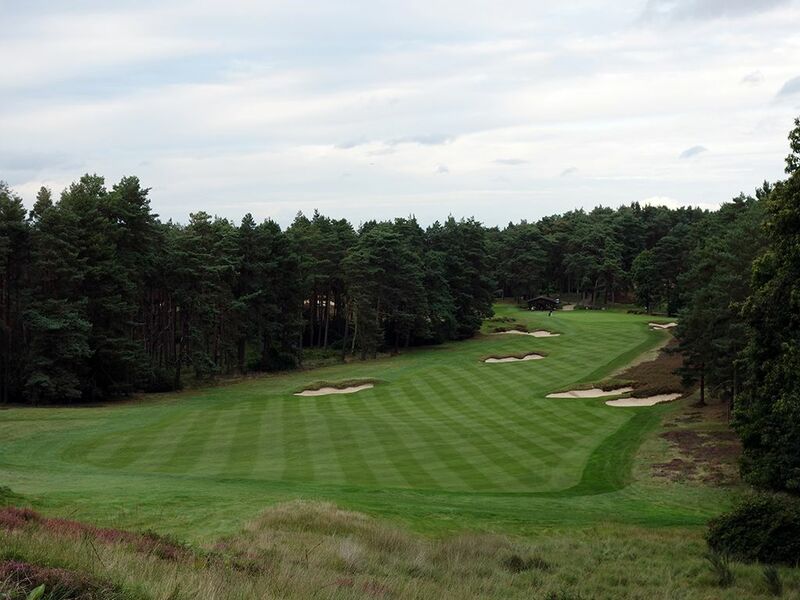 While many of the best courses on earth are found on the sea, Sunningdale stands among elite company in the discussion of the finest inland courses you can tee it up on. 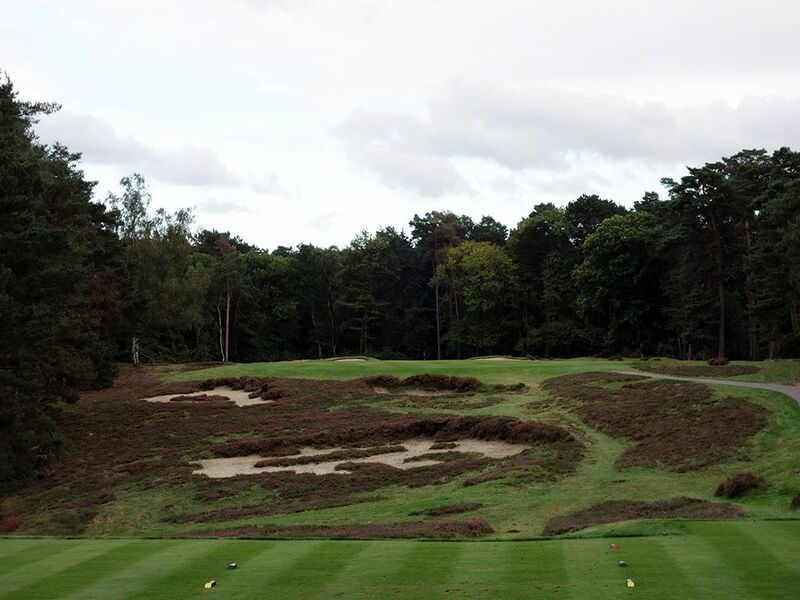 One of the great tests of the quality of a golf course is the variety it offers and the Old course at Sunningdale has few rivals. The masterful design boasts uphill holes, downhill holes, doglegs each direction, blind shots, driveable par fours, various hazards, and does it all without caving to the trend of stretching out the golf course to PGA Tour length. While length isn't a big concern to contend with, the heather on the course is. The dense foliage it creates stands as one of the more brutal recovery shots you'll likely face; assuming you'll find your ball should you hit into it. 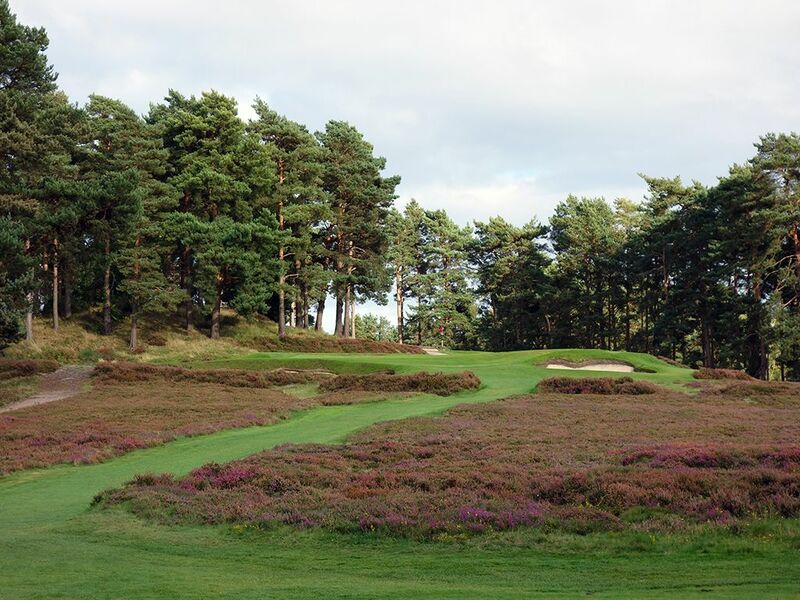 On the flip side, the heather gives the course a unique look and feel that you would normally expect to find on a seaside links. While Sunningdale's Old course has been applauded in world rankings for years, it still caught me a bit off guard how quickly I fell in love with it. There is something enchanting about playing there that reels in your heart the same way Merion and Cypress Point can with their modest lengthed courses that rely on superior architecture rather than trumped up features. The Old and the New course at Sunningdale combine to be one of the finest 36 hole clubs in the world and a place any golf architecture buff would love to call home. Signature Hole: 10th Hole – 467 Yard Par 4 – Perhaps the signature hole of England, the stunning 10th hole at Sunningdale's Old course offers an impressive visual of the landscape from an elevated tee. Players need to thread the trio of fairway bunkers that line the edges of the driving zone by aiming at center bunker which is out of reach for most players. The approach shot plays uphill with a bunker on the left resting shorter of the green than meets the eye and a second bunker protecting the front right corner. The grandeur of the setting and hole are especially impressive considering 467 yards have been dedicated to it on a course with limited yardage to work with. Behind the 10th hole is the halfway house where you'll have a chance to soak in the experience you've just enjoyed while sipping on a drink. Best Par 3: 4th Hole – 157 Yards – In the vein of the 11th hole at Shinnecock Hills, the 4th at Sunningdale's Old course is an absolutely delightful uphill par three that is modest in length. Purple heather creates the foreground and trees canvas the background enroute to a green that is protected by a trio of bunkers. On a calm day this hole should be relatively easy, but a stiff breeze can change everything considering how lofted the club in your hand will be. I have a particular fondness for uphill par threes in a routing and this one ranks up there as one of my all time favorites, it is pure quality. Best Par 4: 7th Hole – 393 Yards – The visuals and terrain experienced from holes 4-10 is simply world class and a stretch I would never tire of playing. 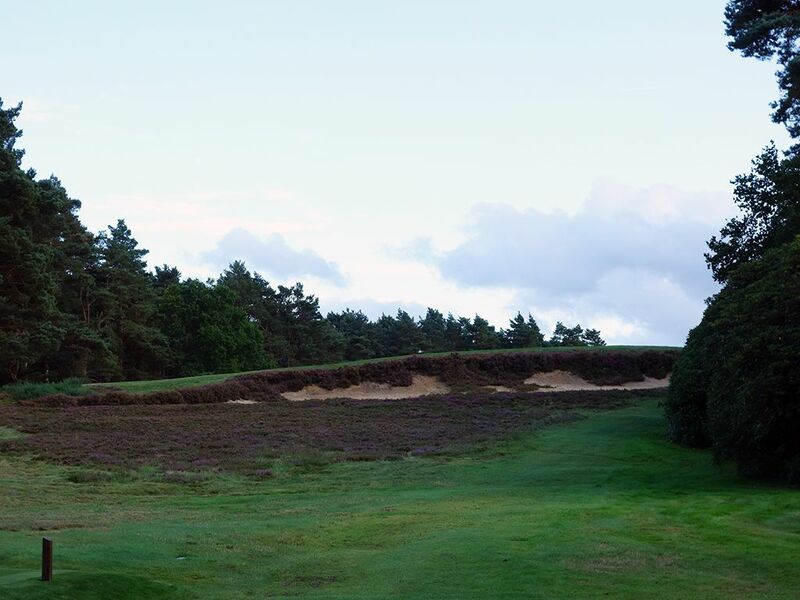 In the middle of that top shelf offering is the 7th which delivers a different look from the tee as players are presented with a steep ridge with heather and a bunker acting as the face and blocking a view of the landing area. A swing of faith and a walk up the hill later and golfers are blown away by the eye candy that presents itself as the landscape opens up to rolling terrain framed heather, eyebrow lipped bunkers, and a scattering forest. The approach shot plays into a green that slopes back to the right where a bush covered hill awaits to wreak havoc on balls that skip to far off the putting surface. 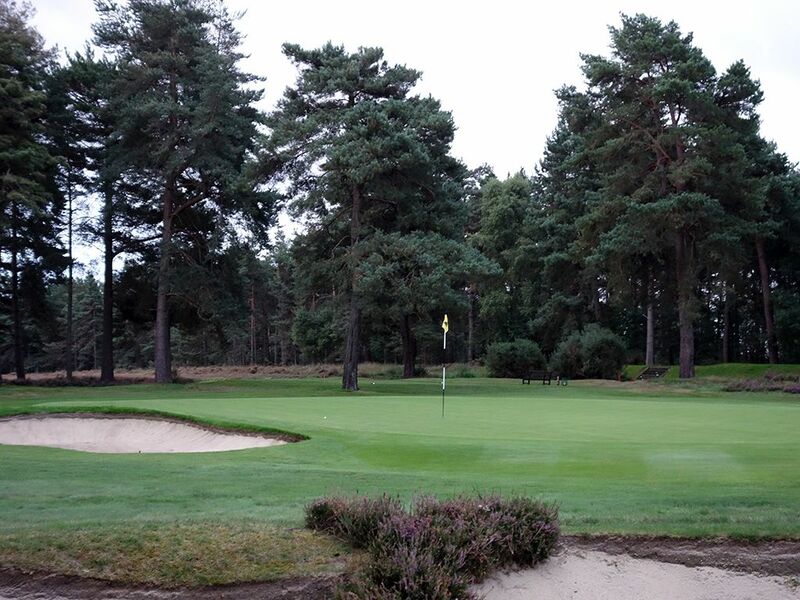 I'm honestly in love with so many holes at Sunningdale, but this one is my mistress I come back to the most. 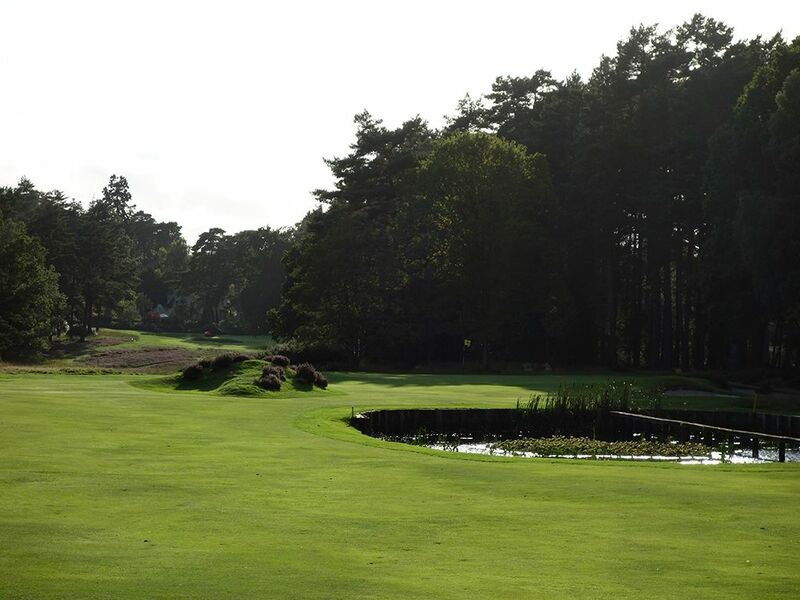 Best Par 5: 14th Hole – 477 Yards – Just two par fives are found on Sunningdale's Old course, the opener and this sub-500 yarder. A half dozen bunkers angle across the fairway with more driving room being available up the left side. Heather lines the back sides of the bunkers and effectively creates a high lip to contend with if you find yourself in the sand and trying to advance your ball towards the green. The front of the green is wide open, but three bunker lie in wait if your approach shot comes up wide and short while a fourth bunker sits on the left side of the putting surface. 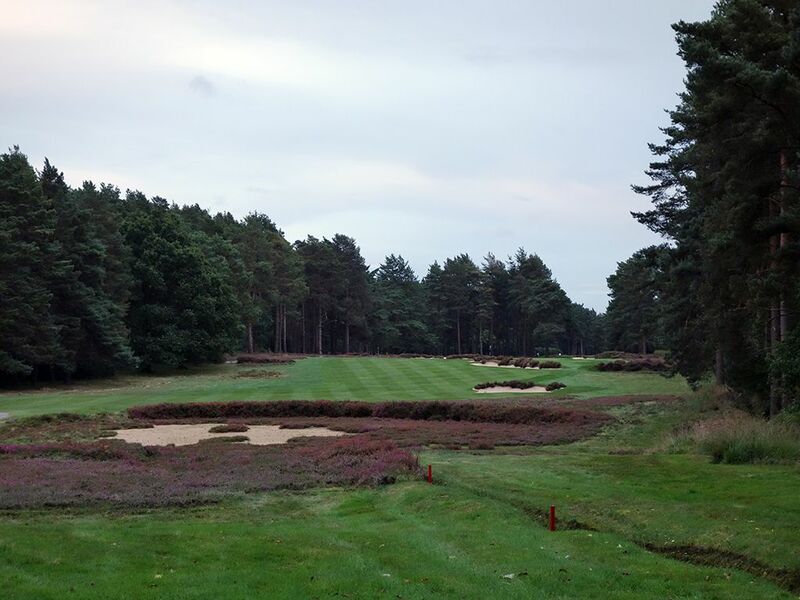 With modest length to contend with, a birdie often awaits the player that avoids the bunkers and heather. Birdie Time: 9th Hole – 267 Yard Par 4 – On a course with three par fours under 300 yards, the 9th is the biggest gift of all. At 267 yards from the tips there will be plenty of players with sufficient length to reach this green and set themselves up for a great birdie, or eagle, opportunity. A trio of bunkers angle across the fairway short of the green while leaving an opening in the short grass that lines up with the dead middle. A pair of bunkers guard of side of the green but still present an opportunity to get up and down from for birdie if you carry your drive to them. 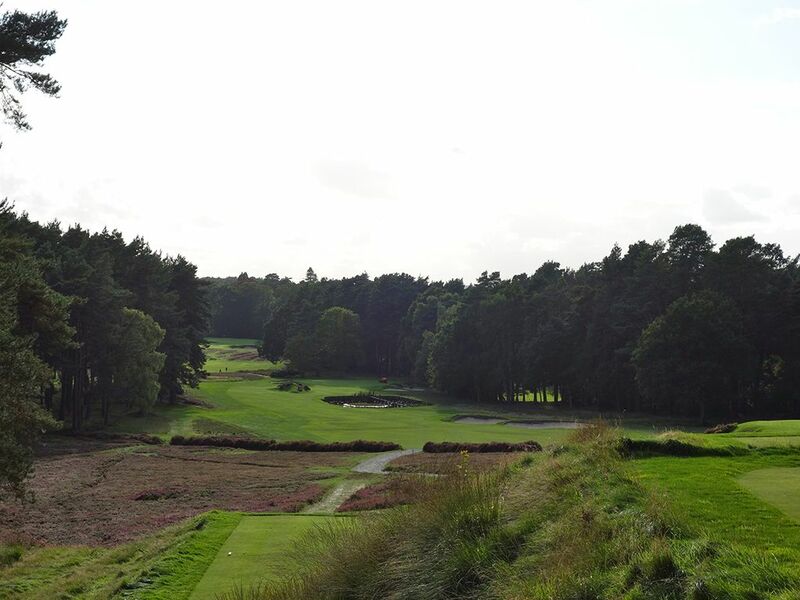 Although the hole plays slightly uphill, this is a great chance to take a stroke back from Old Man Par before making the turn and contending with one of Sunningdale's most difficult holes. Bogey Beware: 5th Hole – 400 Yard Par 4 – A 400 yard downhill par four on the surface shouldn't strike fear into a golfer, but when standing on the 5th hole that opinion quickly changes. A pair of bunkers on the right side of the fairway draw the player's eye in while the pond in the distance causes fear now and on the approach shot. Players going left in order to avoid the glaring hazards must exercise caution to avoid the heather that quickly gobbles up wayward balls heading that direction. A knob peppered in bushes short left of the green counterbalances the pond short right while four bunkers encircle most of the putting surface. From tee to green there is nowhere that a lapse in concentration won't be punished, so stay dialed in and don't let this hole get out of control on your scorecard.